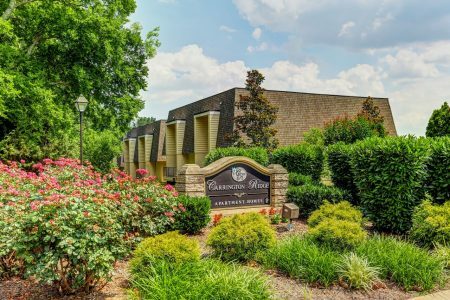 Located in beautiful North Hendersonville, Tennessee, The Carrington is in a neighborhood setting, surrounded by lush trees and landscaping, just minutes from Old Hickory Lake. With our Main Street location, you will feel away from the hustle and bustle of the city yet close to anything and everything. Whether you want to relax in our sparkling swimming pool or work out in our community fitness center, we are sure to have exactly what you need. We are close to shopping, dining, and entertainment, and we are less than a mile from Vietnam Veterans Parkway. Stop in today to see why you should call The Carrington your new home.